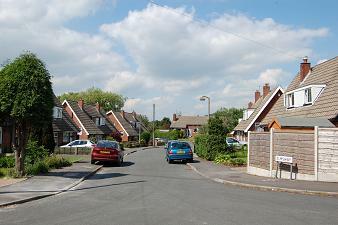 A group of roads on an un-named estate predominantly of dormer bungalows, all the roads being named after trees. The estate has two entrances, Beechway (picture top left) and Cedarway (pictures 2nd & 3rd left), but is essentially a cul de sac. 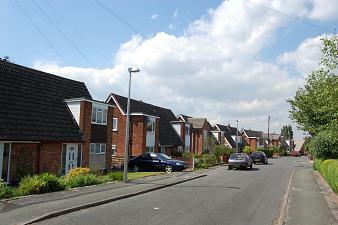 Cedarway is the main part of the estate. It is a long loop of a road that comes back on itself. 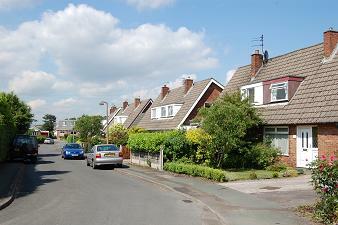 Most properties are semi-detached or detached dormer bungalows. Many have roof extensions to increase the useable space inside them. 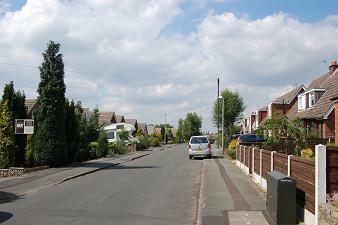 Those properties along the west side (left) have their gardens leading down to the Macclesfield Canal where many residents moor boats at private landings. Elmsway (pic 4) is not easy to find if you don’t know it! Approach off Thornway (bottom left) and Cedarway or Beechway from Grimshaw Lane. Nearest shops – corner of Greenfield Road, Wellington Road. Cedarway SK10 5NS, Elmsway SK10 5NP, Beechway SK10 5NN, Thornway SK10 5NW.